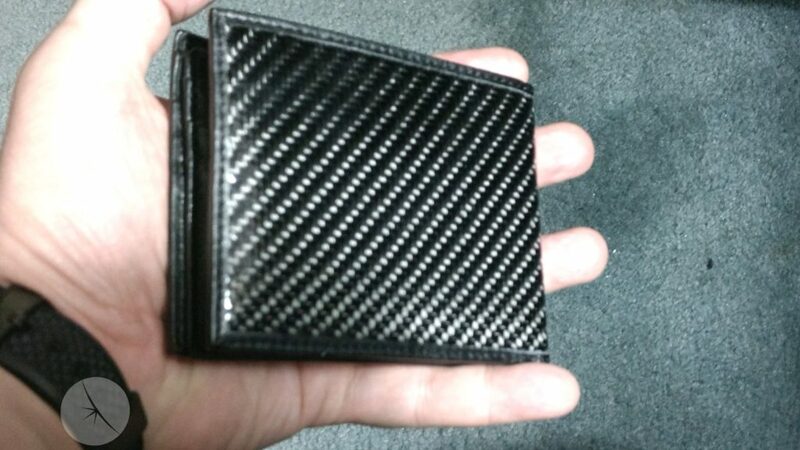 Sent to me by Kinzd, I’ve had the pleasure of trying out another of their leather wallets. 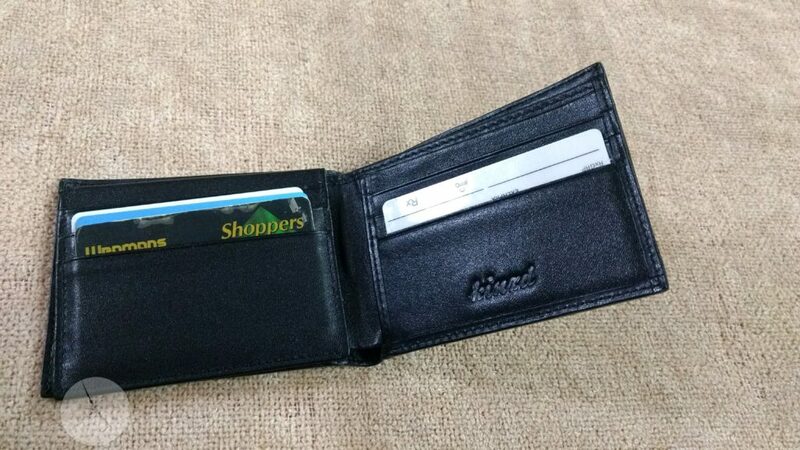 Whereas the ealier ones that I tried were on the slim/lean side of things, this one is appreciably larger.It is a bi-fold on the outside, but with another interior flap, giving this one a lot more space for those of us with lots of bank and rewards cards to mange. It claims to withstand wireless scanning, but i had no way to test and confirm that. 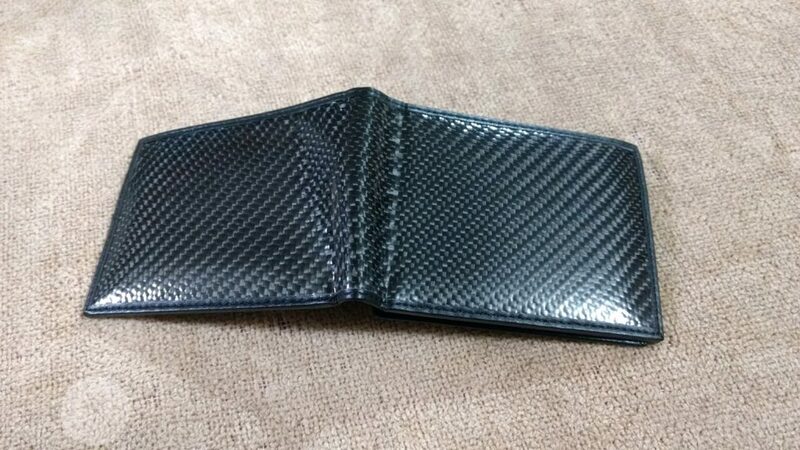 The appearance of this wallet isn’t bad. As a fan of black clorthing and accessories, I found this to be easy on the eye. The exterior has a shiny appearance that feels a lot like a soft plastic, and is quite shiny at that. It has a black colored pattern, that’s a bit like a cross stitch. It’s difficult to describe; I am hoping that it comes through in the photos.The inside is able to organize things well, and has a multitude of slots. 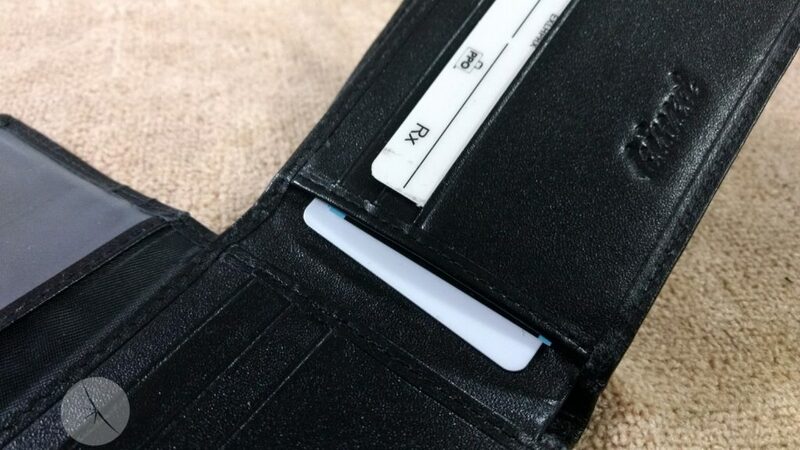 When opened up like a book, each side has three slots, plus an additional fourth one on the inside On the lefthand flap, it folds open vertically, to reveal three more slots, as well as a clear-ish spot for holding ID. 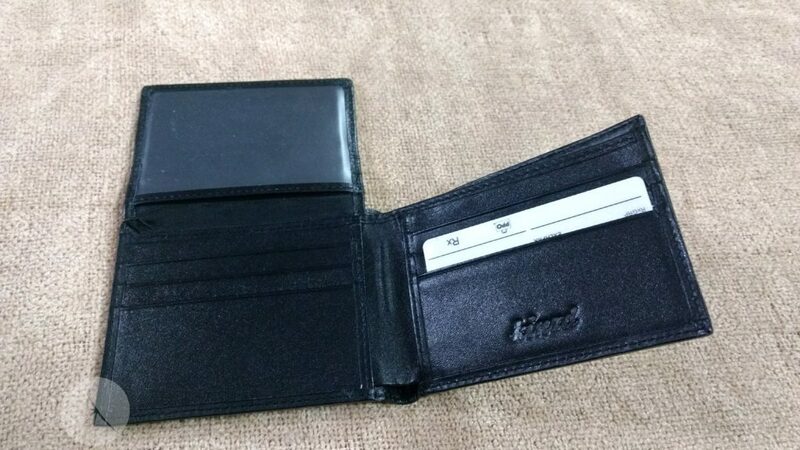 Like many other wallets, there’s also the traditional spot for cash, which slots in lengthwise. All told, tha’ts a dozen slots counting the ID, and thirteen if you include the pocket for cash. The interior is comprised of black leather, with the commensurate smell. 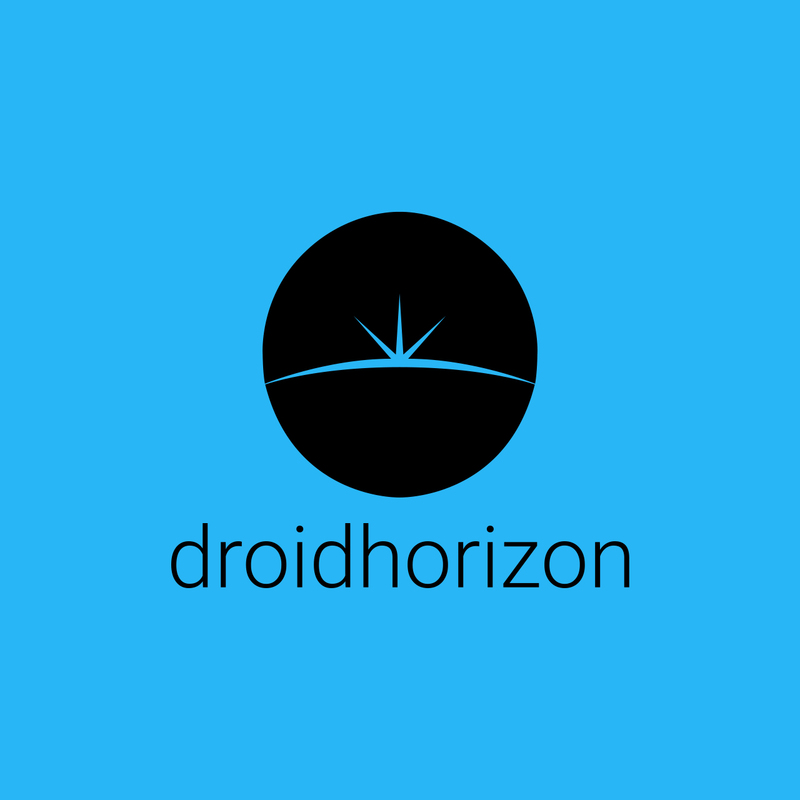 As for functionality, I found this wallet quite easy to use. Unlike the smaller ones, the cards weren’t held in nearly as snugly, thus didn’t require any “breaking in” to occur, in order to slide the cards out easily. With this wallet, they seem to be held in at the sweet spot of snugness. All of the cards remianed safely within the wallet, without spilling out into my pocket, or the ground if it was in use, at any point, and yet could be slid in and out with ease. All of the aforementioned space though does add up to a larger wallet, both in breadth as well as depth. 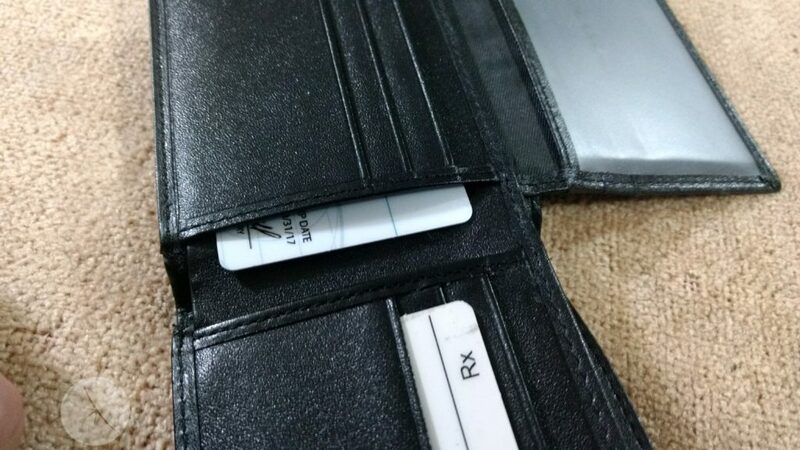 Frankly, while I’d wager it’s a far cry from the large wallet on the market, it’s the largest one that I’ve ever used; do bear in mind that i’m the type that favors smaller and slimmer wallets, so the fact that it felt large to me shouldn’t concern you unless you also want yours small and thin at the expense of added storage. 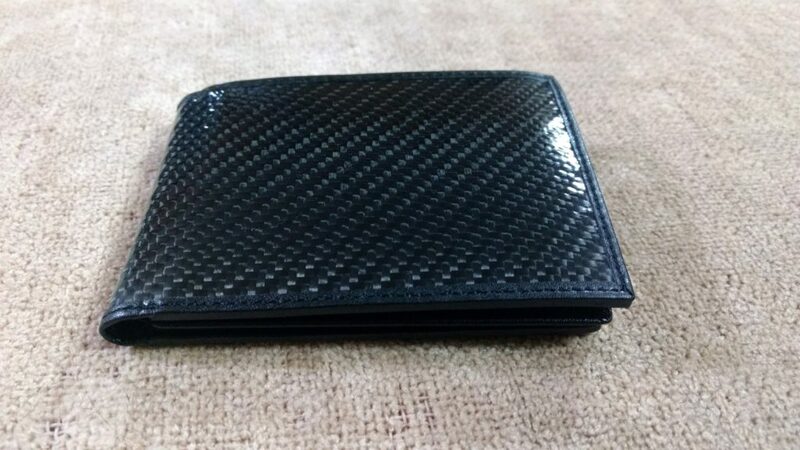 Like the others from Kinzd that I’ve reviewed, this is a great wallet. It looks good, has lots of storage options to help keep things organized, and the leather is a nice touch. So, at the risk of looking (reading?) like I’m gushing, I’m going to give this a ten. In my usage, I didn’t encounter a single instance where I thought it needed imprivement, which is a rarety in my experience.